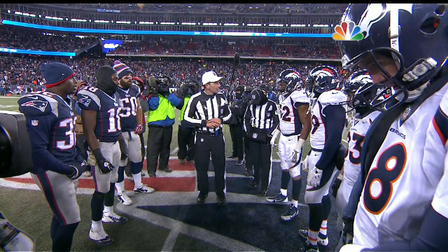 SHOULD THE PATRIOTS DEFER UNTIL THE SECOND HALF? whether or not the second half possession move was still working, I looked over all of our beginning of a half possessions and came up with this. The first thing I looked at was the Patriots' offensive production when they start a half with the ball. When the Patriots start the game with the ball they average 1.9 points per possession. So far they have had the first possession of the ball 7 times and managed 1 touchdown, 2 field goals, 0 turnovers and 4 punts. With 17 games under their belts, that leaves 10 games where they got the ball to start the second half. In these 10 games they've had 3 touchdowns, 0 field goals, 2 turnovers, 4 punts and 1 missed field goal. Because one of the turnovers resulted in an immediate Jets touchdown, I came up with a scoring average of 1.4 points. Looking at offensive production, it appears we are actually better off when we start the game with the ball. Next I looked at the same statistic from a defensive point of view. When the defense starts the game on the field they give up 1.3 points (1 touchdown, 2 field goals, 2 turnovers and 5 punts). This statistic would drop to 0.6 if Dennard had made it a step or two further on last week's pick. To start the second half the Pats' defense gives up 1.4 points (1 touchdown, 1 field goal, 0 turnovers, 4 punts, and 1 turnover on downs). Now looking at it from the defensive point of view the edge does go to deferring to the second half. Putting both of those things together it looks like a push from the Patriots' point of view. However, taking a step back and looking at what the Broncos have done when using Bill's "move", I would say we want to give Peyton the ball to start the game. Although the sample size for the Bronco's starting the game with the ball is small (4), their point differential is still pretty significant. When Peyton starts the game with the ball in his hands he puts up an average of 1.75 points. In the second half the offense has scored 7 touchdowns in 13 possessions and have a scoring rate of 4.2.